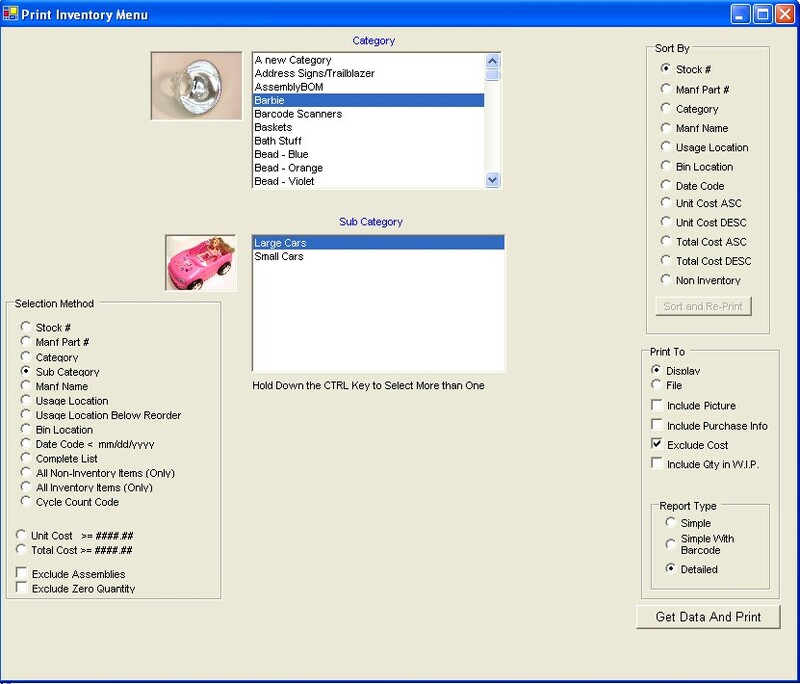 Several methods can be used with this software to generate a detailed inventory report. These methods include printing selected categories, printing inventory by cost, and printing inventory items whose shelf life has expired. 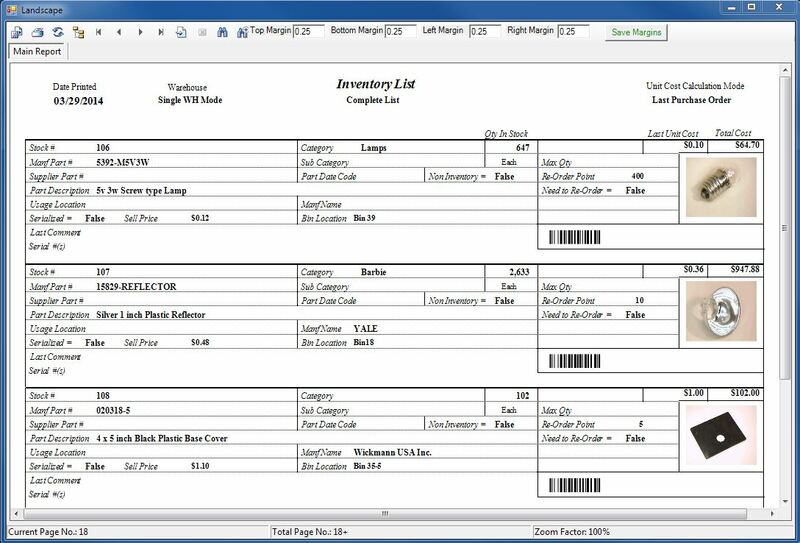 The reports contain all the related inventory information of the stockroom parts including: bin location, category, and purchase cost. The list may be sorted by manufacture part number, manufacture name, and stock number. 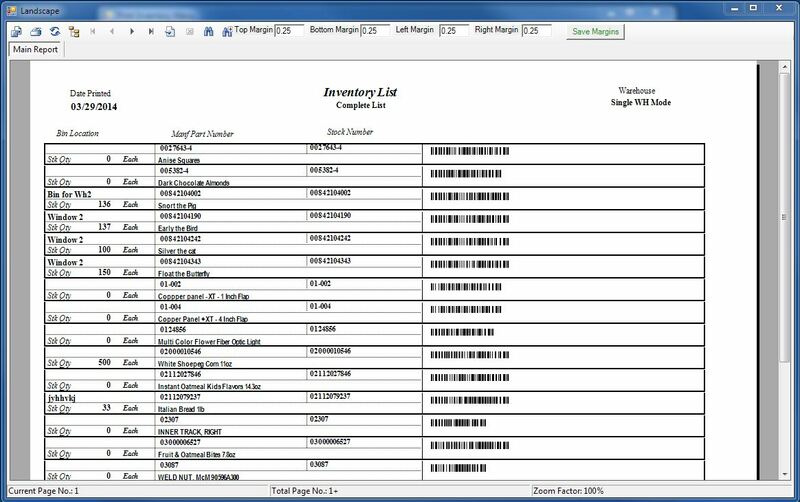 The user can optionally include a barcode and item picture in the inventory report. 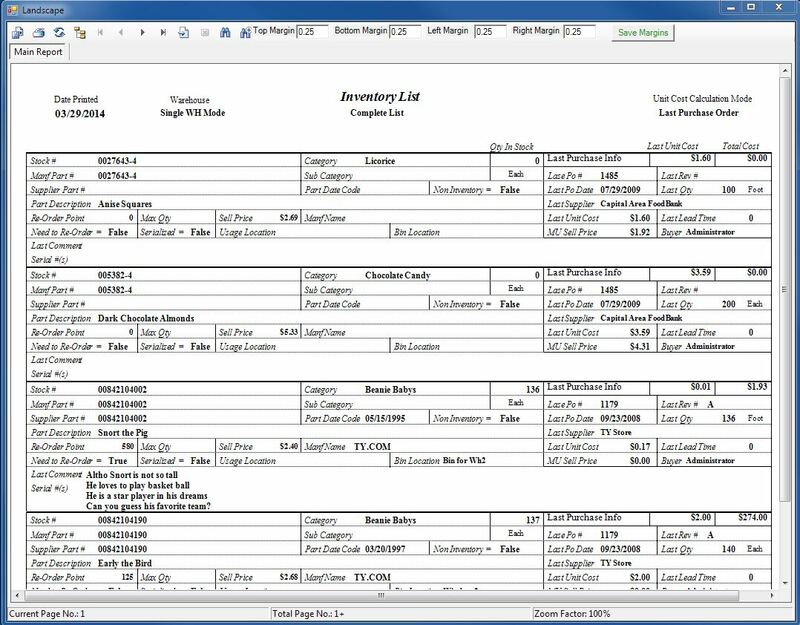 The software also includes a cycle count code field which enables the user to print a list of inventory items that only contain that code. All the software reports are designed with crystal reports and can be modified by the user.